With the necessities of modern living, specifically those which have children off to school and parents off to work, and all arriving home at different times, a strong potential for home security risk comes into play. In order for schoolchildren to gain access to the home while parents are still at work, they must of course have house keys, and this fact makes the home a good bit more vulnerable to possible security breaches. Far more often than their parents, children have a tendency to misplace keys, or to leave them in places where they can be picked up or stolen. Even when carrying keys around normally (such as at the end of a lanyard, or dangling from a book bag), children often lack the presence of mind to understand that visible keys represent a significant security risk. 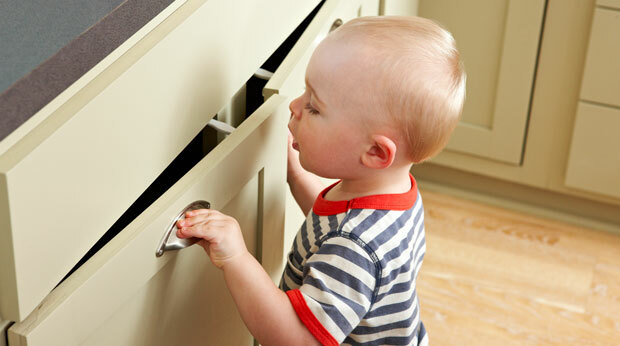 Children may even invite friends over when parents are away, and unintentionally reveal a key’s normal hiding place to friends. The bottom line on children with keys is that they are generally not as mindful as are adults about the significance of keeping keys secure and hidden, and what the consequences might be if someone else gained possession of house keys. There are several ways to mitigate the vulnerability which might otherwise occur when children need to use house keys for their normal daily routine. The following suggestions have proven effective for many households, and some of them may be effective for your family as well. Single entry point – If possible, establish a single door of entry for children, so that it’s the only one they go in and out of while you’re still at work. Electric keypad deadbolt – An electric keypad deadbolt can be installed with codes that can be programmed specifically for children in the household. The advantage of this strategy is that codes can be programmed in very easily, and they can be changed frequently to keep things more secure. Security camera – You can also have a security camera installed which is trained on points of entry, so that you know who’s coming home with your children. This can be configured so that you can monitor it on your smartphone, and since you know the time your children will be coming home, it will be fairly easy to just take a look at that specific time. Texting/calling about problems – If the children forget the code because it’s been changed, have an arrangement where they can quickly call or text you to find out what the new code is, without you having to leave work. To purchase any of the security equipment described above, contact your local residential locksmith to discuss your specific needs. There you’ll be able to find high-quality security devices and good advice, to help keep your home as secure as possible, even if you have school-age children to contend with.